← This and That With Calandra Turns 4! I work at the hospital where Malcolm X was taken after he was shot. The old Audubon Ballroom is now the The Malcolm X & Dr. Betty Shabazz Memorial and Educational Center and we often hold events there. The first time I stepped inside, I was overwhelmed by the fact that this is where he spoke and where his life ended. There is a life-sized bronze statue of him at the base of the staircase leading upstairs to the old ballroom. As I climbed the stairs I felt my steps slowing, thinking of the crowds tumbling down the stairs that day. Some were chasing the alleged gunmen. Some were escaping the scene. Some were stumbling in disbelief that their beloved leader had been shot down. The open space on the second floor has a wall of large windows overlooking Broadway. Another wall holds a beautiful mural depicting scenes of Malcolm’s life. All through the building are photographs and kiosks playing videos of his speeches. You are surrounded by history. In the ballroom there is a very large poster photograph of Dr. Betty Shabazz. Rumor has it that the poster sits on the spot where he was killed. Others say the statue on the first floor marks the spot. (I would figure the second floor location is more accurate). Regardless of the precise location, one can feel the presence of greatness. I was so overwhelmed I had a hard time concentrating on the first thirty minutes of the event! Even when I pass by the Center, I take a moment to soak in the history. 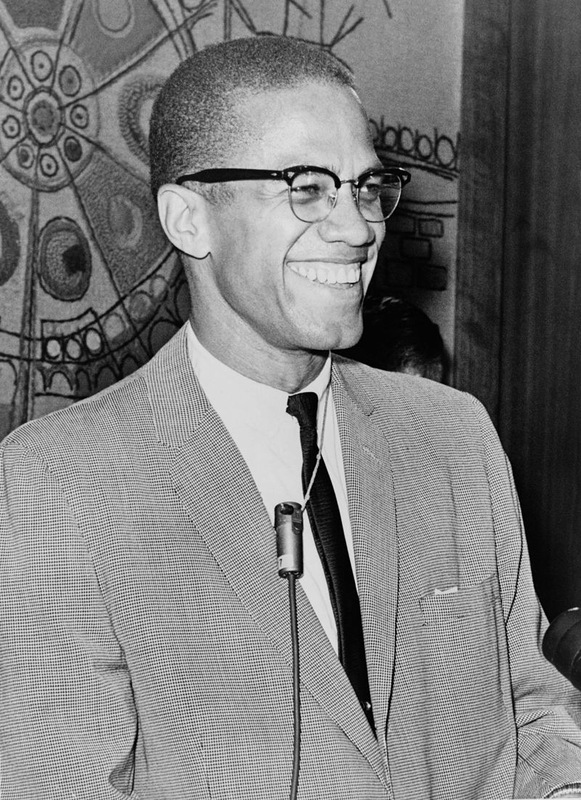 I take a moment to remember El-Hajj Malik El-Shabazz.